The Center of Hope exists to walk alongside people, to bring spiritual and physical health, and to ultimately to change the community one life at a time. Our vision at Center of Hope is to encourage and mentor people with the hope of redemption through Jesus Christ. Our focus is holistically addressing physical, emotional, social and spiritual needs of individuals, which can only manifest through relationship and accountability. We work in partnership with community organizations to engage in a consistent and positive interaction with those we serve. Our principles are all people are created in God’s image; self sufficiency; holistic ministry; reconciliation; and partnering to serve. My name is Brett Rockvam, and I am the executive director at Center of Hope. I was called to ministry after working in the building industry for 25 years. I first began volunteering at Center of Hope but came on as full-time staff after receiving my Bachelor’s degree in business management and my Certificate of Theology at Sioux Falls Seminary. I have been with Center of Hope for over a decade now. Center of Hope began in the year 2000 as an outreach ministry for those living on the street and in need of hope. When it first opened, we were located on North Cliff Avenue and far from downtown, so to attract guests from afar, we began winter clothing giveaways, lunches and basketball in the park. Eventually, we moved our ministry downtown to where it exists today, living much closer in proximity to those in need. Not only is it easier for our guests to come to us, we are also only one block from the bus depot, so people often visit while they are waiting for the bus. Center of Hope is about building relationships with people. Above all of the ministries we offer, it is most important that we foster an atmosphere that meets people wherever they are at in life. No matter their struggles or their status, all are welcome here, no matter what. We want to get to know people and build a friendship with them. We want to be a place where people feel safe to open up and talk to us, where we can share the Gospel together and empower them to make the choice to change. We seek to build open and honest relationships with our guests, because personal care and interest are often lacking for people. We want them to know that we are here for them, we encourage them and we are a friend. Our Care Center is where we visit with guests and pray with them. Our clothing ministry is within the Care Center, and it’s also where we have computers and phones available to use. We offer Gatorade and broth, and we have pastors available to greet them if they want to sit down for a deep conversation. 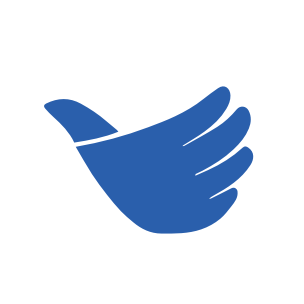 If they need further assistance, we have resources to offer, and if we can’t help them, we direct them to a different ministry that can. Our clothing ministry offers low-cost winter clothing for all people. We have adult coats and children’s coats, snow pants, jeans, hats, gloves and boots. Most of the clothing comes from church drives and donations, and we accept donations year-round. Last year alone, we supplied 4,000 coats and over 15,000 winter items. We have a good supply but are in need of quality items for our guests. It’s important that we put a small price on our clothing, because we’ve learned that people need to put some investment into it to have some ownership. When we used to give clothing away, we had problems with people hoarding or selling the clothing on the street. But we exist to empower people rather than to enable dependency, so even putting a small price of $2 or $5 on an item of clothing creates ownership, and it matters. We also offer a bike to work ministry, providing bikes for those who cannot afford a car or don’t have one for whatever reason. The program is for those who are looking for work or need a way to get to work. We help out 800 guests a year with bikes, and we also have a free repair shop, helping those who need to fix their bike. It’s important that instead of fixing the bike for them, we teach them how to care for their own bike and making repairs themselves. That gives people a sense of responsibility and pride for the bike they receive. Other ways we invite people in is through our Bible studies, giving our guests an opportunity to open up and connect. We always want to go deeper in a relationship with them, but it’s up to them how much they want to share. For people in poverty, spirituality is incredibly important. When they are struggling, faith provides a great sense of hope, and our Bible studies help to deepen their understanding of who God is in their life. While we help them to grow in their faith and connect to a church, we really try to educate them, too. Our biggest need is to add another faith community nurse. We have one nurse on staff right now, working 20 hours a week, but that’s not enough to meet our demands. We have so many people who come in with health concerns, and they have a lot of questions. They don’t understand what’s wrong with their bodies or how to care for cuts or aches. But we really try to help the hospitals by deflecting those who want to seek emergency care but don’t need it. We also do blood pressure checks at the Faith Temple Giveaway and glucose screenings at Center of Hope with Urban Indian Health. We would love to raise more money to bring in another nurse on staff. All these ministries matter, because it’s important to have some physical support along with building relationship, but it’s more important to us that we encourage faith to all those who walk through our doors and share the Gospel with them. We have one gentleman whom we’ve worked with for 15 years. We stayed alongside him as he was in and out of prison, in and out of sobriety and battling depression. He even worked for us for a while until he was caught drinking on the job, but we maintained a friendship with him throughout it all. No matter what, we continued to walk alongside him and support him. Then, about six years ago, one of our staff members gave him a daily devotional. Even though he still had his ups and downs, he read his devotional daily, and then he started treatment and started listening. And whenever he got frustrated, he would come to us, and we’d talk him through that frustration and empower him. Today, he is sober and doing so well. Now, when you talk to him, he is so grateful to be in a better place! He feels empowered to say no when people try to get him to drink, and he has confidence in himself. Our relationship with him is such a reminder that people don’t get restored overnight. We don’t see results right away, because it takes time for people to understand that they are worthy. They come to us not understanding their own identity as a person or in Christ, so it takes an entire mindset shift to believe in themselves and trust that they deserve a good life. This is why we build relationships, we build trust and we encourage them every step of the way. New Hours at Center of Hope, a Need for More Volunteers!